Discover Estéban Restaurant, a tantalizing tapas bar located at Casa Munras Hotel & Spa. A local favorite, it was recently recognized by the Californian’s ‘Off 68’ magazine. This glowing review highlights the provocative Pintxos and small plates created by Chef Tom Snyder. 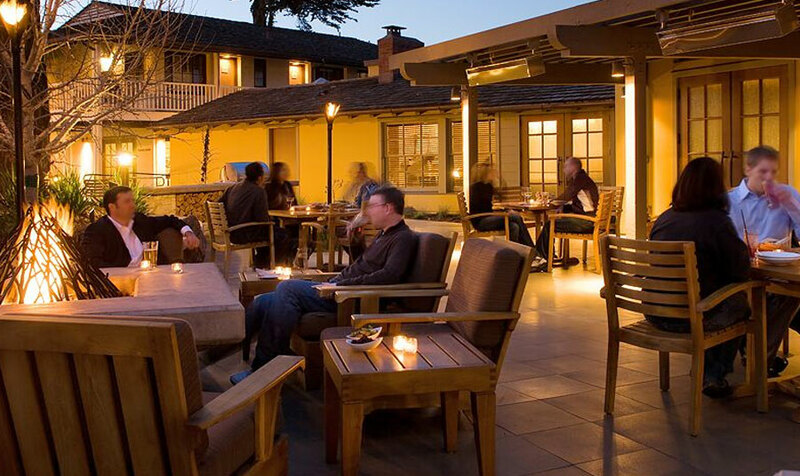 Described as “…a locals’ watering hole designed with seductive curves, a cozy fireplace, an open kitchen, and a patio that’s much in demand,” Estéban is just one of many great things that Casa Munras Hotel & Spa offers guests and members of the Monterey Bay community. Fantastic favorites include bacon-wrapped medjool dates with blue cheese, a fig and crispy duck salad, palate-pleasing cocktails, and decadent desserts starting at $6.50. The Californian isn’t the first publication to notice the unique experience offered by our alluring tapas restaurant. Estéban has been voted Monterey’s Best New Restaurant and Best Happy Hour by the Monterey County Weekly, and has received glowing reviews from the Monterey County Herald, The San Francisco Chronicle, and more. Make your reservations at Estéban and see for yourself why Estéban has become a local and guest favorite at the Casa Munras Hotel & Spa.